Are There Many Brits Living in Montenegro? Is It Possible to Retire to Montenegro? Crime: Is It Safe to Live in Montenegro? Is Montenegro a Good Place to Live? Construction and house prices make it clear that most expats are attracted to Montenegro’s coastal areas. That said, Podgorica offers a cheaper cost-of-living, better options for year-round rentals and an expat community that’s focused on more than just lying on the beach. Especially if you’re buying a home (or having one built) and are keen on its future resale value, the following three towns (and particularly their suburbs) are some of the best places to live in Montenegro. Budva is a very old town on Montenegro’s Adriatic coast. It’s known as a hub for Montenegrin tourism because it combines the picturesque scenes of the Old Town with resort development along the nearby beaches. It’s easy to see how living in Budva, Montenegro is a charming experience. Expats, especially those looking for a quieter retirement on the sunny coast, tend to choose one of the suburbs like Bečići or Sveti Stefan instead of living right in Budva. In any case, you’re likely to find things are quite crowded with visitors during July and August. UNESCO world heritage status for the Old Town of Kotor draws in the tourists and keeps the architecture relatively unaltered. Both Tivat and Kotor are quite popular with expats, especially those looking for luxury. 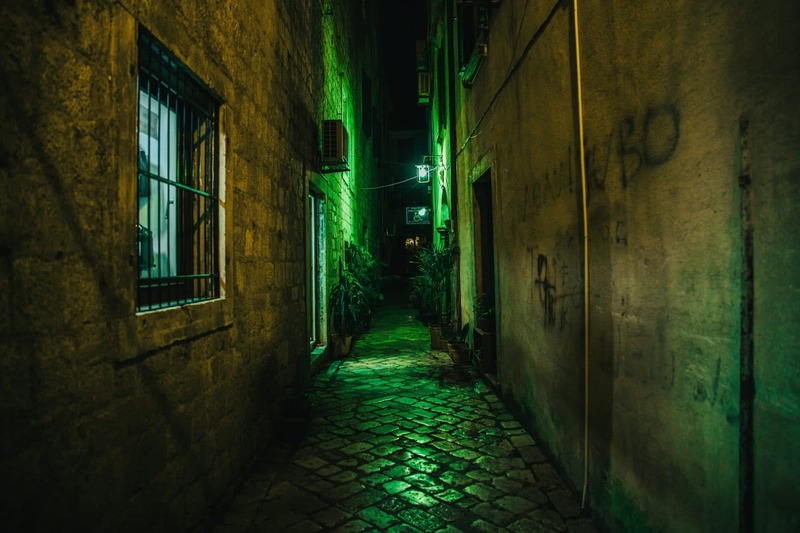 Kotor is quieter and has a more authentic aesthetic — with fewer nightclubs, for instance. Living in Kotor, Montenegro means being surrounded by a UNESCO world heritage site. 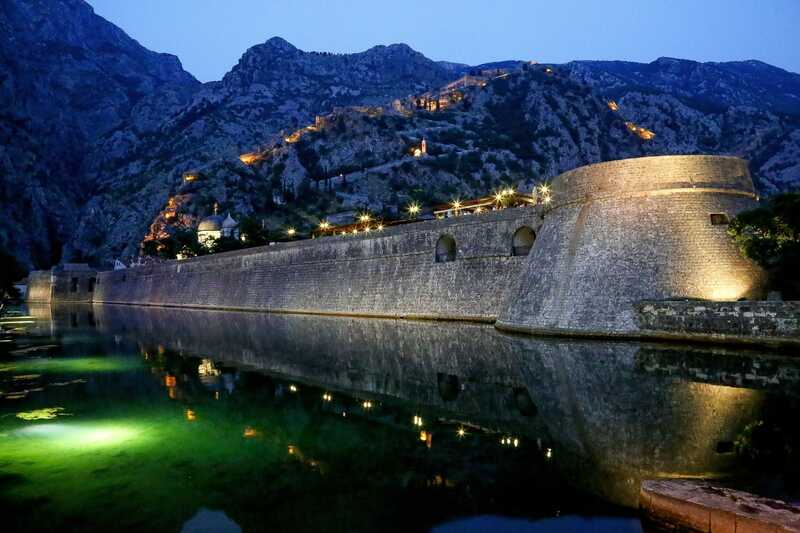 But its position at the very inside of the bay means that the climate in Kotor is drearier and cooler than most of the Montenegrin coast in the winter. Widely seen as the fanciest part of Montenegro, Tivat is located on the eastern coast of the outer Bay of Kotor. It’s relatively new compared to the ancient towns nearby. Porto Montenegro is the unmissable superyacht marina and luxury resort complex along Tivat’s shore. The luxury project was started by Canadian billionaire Frank Stronach in 2007, with backing from the chairman of LVMH and Lord Rothschild. As well as the base for yachts, this is also the home of Montenegro’s second airport. Also, Tivat has Montenegro’s most prestigious international school, Knightsbridge Schools International. In other words, Tivat is a popular choice for expats keen on living in a more luxurious version of Montenegro — especially those able to support that lifestyle. And that was over 200 years ago. Needless to say, Montenegro has had very strong brand recognition in the UK for many years. Typically, wealthy Brits and those planning a sunny retirement have settled along the coast, especially around Kotor Bay and in Budva. These days, more Brits are also moving to Podgorica. You should investigate the specifics of your own case carefully, but there is a good chance that you will be able to maintain your British health and pension benefits after moving to Montenegro. If you choose to rent in Montenegro this expense will vary widely depending on where you find a place and how many bedrooms it has. You won’t find much for under €250/month and €600-700/month will get you two bedrooms in a fashionable area of town. Utilities generally run between €50/month and €100/month depending on what’s included and the size of your home. Expect to come in at the lower end of the range in the summer. A monthly bus pass can usually be had for less than €20/month, depending on the municipality. Entertainment, especially restaurant meals, varies widely in cost between trendy spots in tourist areas of Kotor and Budva and the rest of Montenegro. Expect to pay €10 on the low end for a night out, and up to €50 for a special meal at a trendy restaurant. Private healthcare plans run at about €300/year, but many expats choose to pay as they go because a doctor’s visit might cost €25 and most medicines can be had for under €10. Groceries are also very affordable in Montenegro. You should budget about €25/week. A low capital gains tax that is part of a generally favorable tax system. Competitively priced real estate (especially compared to nearby Croatia) in a generally rising market. Reciprocal agreements that allow retirees to keep some or all of their health and pension benefits from their home country. A very low cost of living compared to countries like Germany, France, Italy or the UK. If you plan to retire to Montenegro, buying a home is probably the easiest route to a temporary residence permit. The option of buying a Montenegrin passport through the citizenship-by-investment program is also open to high net worth retirees. Even if the passport isn’t what sells you on the CIP, the chance of avoiding taxes (especially if you’re an American) might. Thanks to a low crime rate, it is safe to live in Montenegro. Violent crime, in particular, is relatively low compared to other countries and the US State Department rates Montenegro as a level 1 country. Generally, it is safe to live in Montenegro, but use common sense and exercise caution at night and in crowded, tourist areas. During the May to September summer tourist season, street crime increases significantly in the coastal tourist areas. If you’re visiting crowded attractions or shopping areas exercise common sense and protect your belongings and stick to well-lit areas at night. Montenegro is generally seen as a safe place for women. It’s increasingly rare, but gay couples may experience harassment for public displays of affection in certain parts of Montenegro. Organized crime and corruption are two further concerns. These are generally quite high-level problems and are unlikely to affect an expat on a day-to-day basis. Driver training is mandatory in Montenegro, but road safety is sometimes a concern. The State Department says that signaling is occasional and warns that Montenegrins commonly pass in risky situations. The weather is generally very pleasant in Montenegro, even during the rainy, but mild winter. In mountainous areas, rock and mudslides are somewhat common and flooding can occur. Montenegro experiences moderate seismic activities and (minor) earthquakes are quite common. Just like any country, living in Montenegro comes with pros and cons. Keep in mind that everyone’s experience is individual and there are some drastic differences between the coastal area, Podgorica and the rest of Montenegro. That said, here are a few points that give an idea of what it’s like living in Montenegro. Satisfy the requirements to become a temporary resident. Spend five years at this level. Apply for permanent residency and spend five years as a permanent resident. Apply for citizenship and Montenegrin passport. A decade is a long time — of course, the citizenship-by-investment program offers the opportunity to greatly reduce this time, for a considerable price — but the process is clearer and more certain than in many other countries. If you start on the ten-year course to citizenship now chances are fairly good that Montenegro will be a full EU member by the time you get your passport. Where else in the world can you pay a flat 9% tax on earnings for a (generally) first-world lifestyle? That’s the personal income tax rate and looking deeper into Montenegro’s tax system there are no hidden surprises in the form of capital gains, land-transfer or estate taxes. 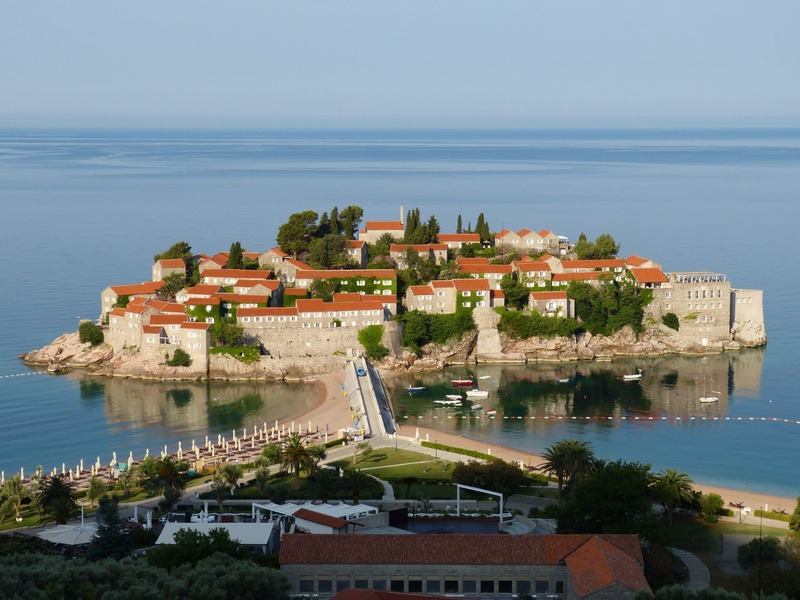 Compared to Croatia, similar real estate goes for a sizable discount in Montenegro. Housing prices softened in 2018 because of declining Russian demand but have (generally) risen steadily since 2008’s global financial crisis. August sees an average high of 79 F, 10 hours of sunshine per day and sea temperate at a balmy 78 F.
In October, during the shoulder season, the air temperature runs from the low-50s up to the low-70s, it might rain on 11 days of the month and the ocean is still 70 F.
At its coldest and wettest, in January, Kotor will rarely dip below freezing, and we might get 4 inches of rain all month. Montenegro’s physical geography is also a selling feature. That especially applies to expats who see the close proximity between ocean beaches and breathtaking mountains as a pro. Montenegrin is a difficult language to learn. And generally, the status of language is in flux here. As a prime example of that, even the alphabet is a matter of argument. Some Montenegrins prefer Latin characters and some use Cyrillic. English is fairly common in bars, restaurants and hotels in tourist areas but expats should learn to speak the local language. That’s especially important for interacting with government administrators and local tradespeople. And, of course, if you want to get Montenegrin citizenship, you’ll have to learn enough of the language to pass a basic proficiency exam. Montenegro has strategies in place to improve its healthcare system but the small taxpayer base and economy mean that it lags behind other European countries. Stats like doctors per capita are a concern for some and you will probably have to travel to Croatia, Serbia or another nearby country for cutting-edge hospital procedures. Strategically, Montenegro is caught between Russia on one hand and the EU and NATO allies on the other. Even if this (now fairly low-level) conflict doesn’t escalate to a security concern, it’s clear that changing winds can affect real estate prices. In other words, Montenegro is a “price taker” and not necessarily in control of its own economic and strategic destiny. Montenegro declared its (peaceful) independence from Serbia only a little over a decade ago. Ten years before that, it was embroiled in a life-altering war as Yugoslavia split apart. A degree of uncertainty about how future governments will see them has to be a disadvantage for expats in Montenegro. As one very relevant example of Montenegro’s unpredictability, they are now on their third try at a citizenship-by-investment program and this one has faced a rocky implementation period. Ethnic disagreements leftover from a couple decades ago haven’t broken out into violence but they have sometimes stalled progress when factions have disagreed. 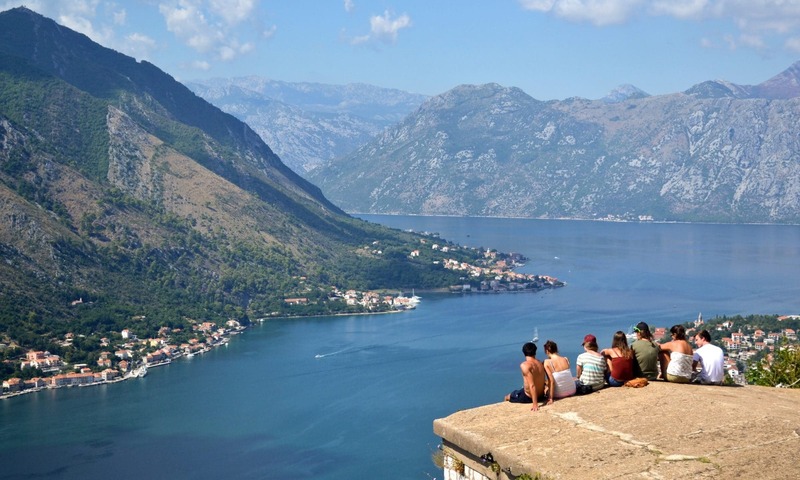 We’ve had a look at the advantages and disadvantages of living in Montenegro. Deciding for certain if Montenegro is a good place to live is largely personal decision. You could retire in Montenegro and not miss the healthcare system at home. A low corporate and personal income tax rate is particularly attractive. The low cost of living in Montenegro, plus its proximity to more expensive cities in Western Europe has won you over. Get in touch with your questions about life in Montenegro and I’ll be happy to provide a local perspective.